The Delta End Pocket in black with tan trim from Billingham is designed specifically to attach to bags with Delta shoulder sling hardware, such as their 225, 335, 445, 555, 107, 207, 307, or 307L models, and will also attach to a waist belt. It is made from durable canvas and is lightly padded with closed-cell foam. It has a drawstring weatherproof neck and features a no-crush press stud fastening method, which allows you to slip your fingers behind the flap and close the studs without pressing on the pouch contents. The Delta End Pocket is made in England. Box Dimensions (LxWxH) 7.9 x 6.4 x 3.3"
Delta End Pocket (Black with Tan Trim, Canvas) is rated 4.8 out of 5 by 4. Rated 4 out of 5 by Udo from Fits perfectly to my bag type 307 This additional pocket gains some extra space for my 307. It fits perfectly in look and mechanically. The padding is done very well. There is draw-string to close the interior. Unfortunately it doesn't close the neck completely on its circumference since it ends left and right at the inner side of the outer flap. For that reason I do rate it with 4 stars only. A soft bag to store this pocket when not in use (like the one for the 307) is a welcome and nice addition. Rated 5 out of 5 by Hecky from First Class I bought this for my Billingham 207 to add some extra room for when I want to carry my Nikon SB-910. The new design on this is perfectly engineered and very well made as is typical of Billingham. Expensive but well worth it. Rated 5 out of 5 by Tom from Excellent Quality First class workmanship. Excellent add on to my 555 bag. Hi you dont seem to stock the Black FibreNyte version ? In spec it states it is canvas, but billingham site shows its got two black version (fibrenyte and canvas). I use a 307 and is Fibrenyte. Please email us directly at sales@&lt;a href= http://bhphoto.com target= _blank &gt;bhphoto.com&lt;/a&gt; for assistance with this type of request. Can this fit a Leica M240 with a summicron lens? I'm sure it can. I can place my M9 with a 35 sum into the pouch without any difficulty. I believe the M240 is slightly larger but should fit easily. 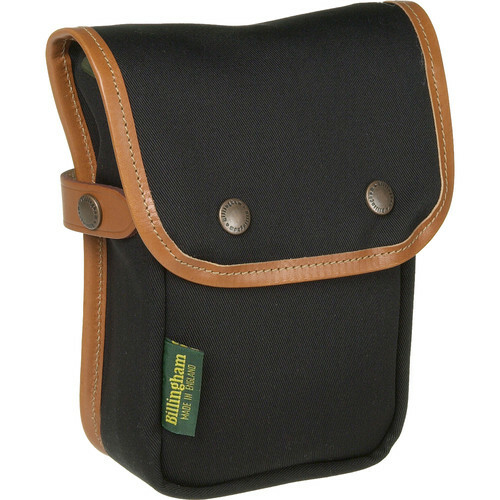 will the billingham delta end pocket fit the billingham for leica bag?